As I prepared for weaning E, the one thing I remembered from last time was how unbelievably messy it is. 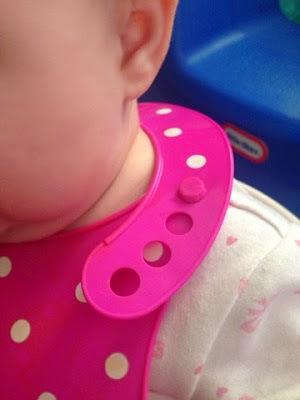 I already owned two of Skibz feeding bibs so I was very excited to be able to try out one of their brand new Catcherz bibs. The Catcherz bib is available in three colours - Popping Pink, Bubble Blue and Rockstar Red. As I'm into everything pink for my little girl, I opted for Popping Pink. When it arrived in the post, even the packaging got me excited. How lovely is it!? My plan was to do a mixture of purées and finger foods so the catcher bit at the bottom came in handy on both occasions. It is relatively rigid so it is always open and ready to catch anything that falls. E can be a little bit mischievous and her new favourite thing is to blow raspberries as I hold the spoon to her mouth so it goes everywhere. The bib fits really well around E's neck. The fastener isn't something that I've seen before. It's so simple and you can adjust it easily to fit your child. I did think that surely it would be easy for E to pull it off herself but we have had no incidents of that yet. One thing that really impressed me was that on occasion, the bib would be stained with purée and the stain would harden on. The next day, I could wash it off easily and none of the white spots rubbed off no matter how hard I scrubbed. We've had the bib for close to a month now and although I do have other bibs for E, I always opt for this one at mealtimes simply because of how easy it is to fasten and clean. 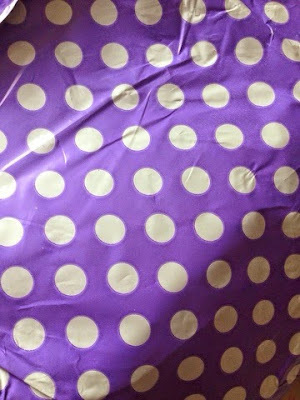 The bright colour is nice too! 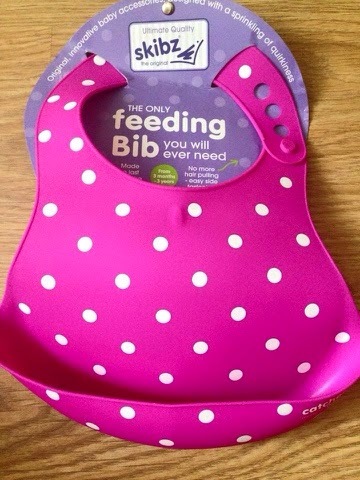 The bib is made from plastic but it is comfortable against her skin and is easily packed into the changing bag for feeding on the go. 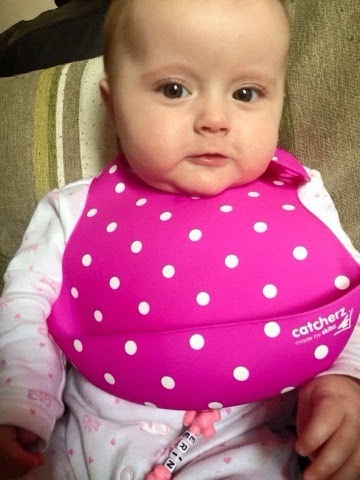 The Catcherz bibs retail at £10.50 each and you can find out more information at the Skibz website. You can also follow Skibz on their social media sites: Facebook, Twitter, Pinterest, Google+, Blogger, Tumblr, YouTube and Instagram. (Disclaimer: We received this item for the purpose of the review. All thoughts and opinions are my own).